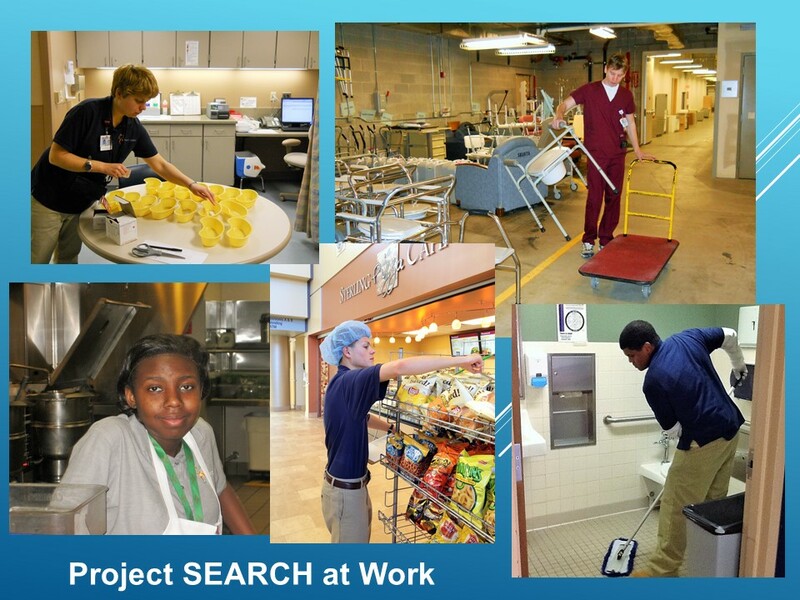 Project SEARCH is a school-transition-to-work program that provides employment and education opportunities to 18-26 year-olds with cognitive and physical disabilities. The program is tailored for students with Individualized Education Programs (IEP) and can be a fifth year of extended high school, or part of an older student’s adult transition plan. Project SEARCH originated at Cincinnati Children’s Hospital Medical Center in 1996; today there are over 350 licensed sites with two of the eleven current Michigan sites in Oakland County. The concentrated, year-long work immersion program offers students intense job training and invaluable practice in ‘soft’ social skills. The work-based learning takes place on-site at the business, and combines classroom work with hands-on experience – which can lead to an offer of employment from the participating organization. The key to Project SEARCH’s results is in its structured support; behind every student intern is a standing Monthly Meeting with the parent, student, special education teacher, job coach and Michigan Rehabilitation counselor. The meeting focuses on preparing both the student and his/her family for leaving the public school environment and becoming an employed adult in an integrated work setting. Students recognize and appreciate the highly professional difference in the Project SEARCH program, and meet the demanding curriculum with enthusiasm and dogged determination. One student, living in Southfield, walks two miles to take the first of two buses he uses to get to his Project SEARCH internship at Troy Beaumont by 7:45 AM every day. People with special needs don’t get many life-changing opportunities, and the participants’ commitment to Project SEARCH is strong. The first day, this young man missed a bus connection so he walked the seven miles from Oakland Mall to the hospital. Imagine this devotion in your workplace! Currently operating at two Oakland County hospitals (Beaumont Health Systems, Troy Campus and Henry Ford Hospital, West Bloomfield), the program is also looking to connect with other businesses such as culinary and manufacturing companies for additional student employment. The organizing Collaborative is interested in adding a third Project SEARCH site in northern Oakland County. 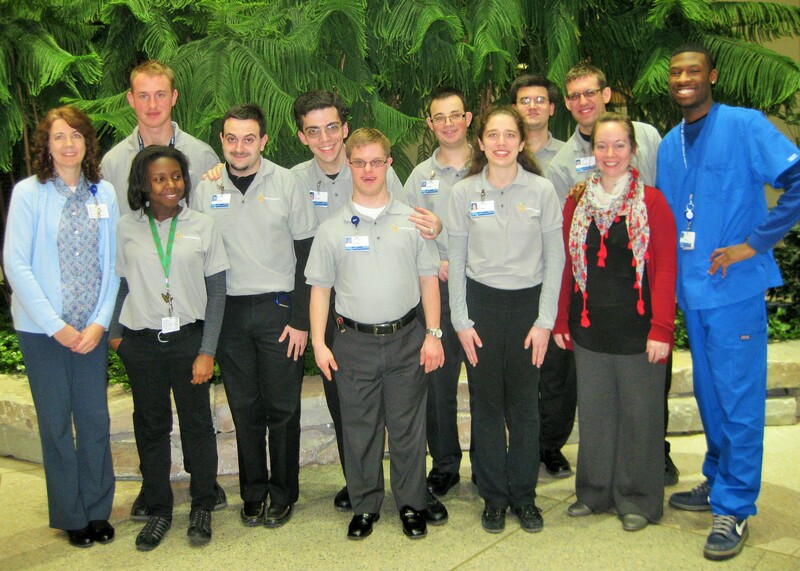 Project SEARCH is finishing its fourth anniversary at both hospital sites; initially, about 12 departments were on board – but the number has grown to 30 departments as staff realizes the benefits of Program SEARCH interns and employees. Student workers are loyal, dedicated and hard-working, and contribute to their workplace community. 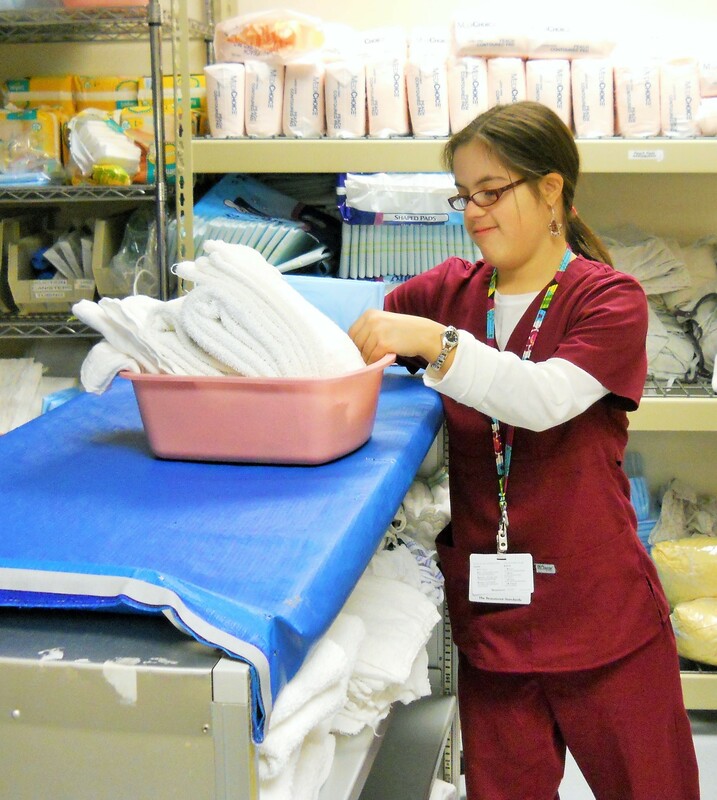 Departments have become closer as a result, and tell stories of Project SEARCH interns with different abilities making an impact on patients and enriching the often stressful hospital environment. 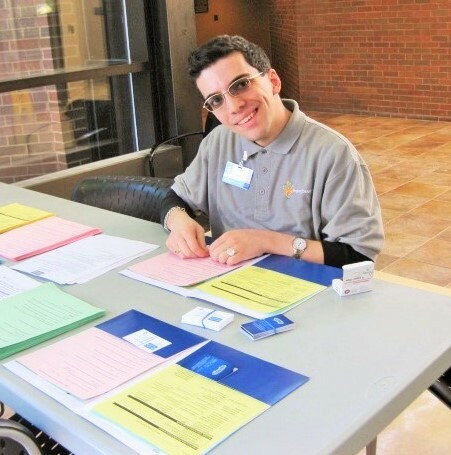 Another student with autism found his niche by using his high-focus ability to streamline a hospital inventory process. He took the hospital, which was below the industry mark in this specific area, to an extraordinary 98% compliant rate – opening some eyes on the way. Beyond cost-savings, businesses have found that Project SEARCH teens and young adults help fulfill workforce diversity metrics in an area of diversity not commonly addressed. 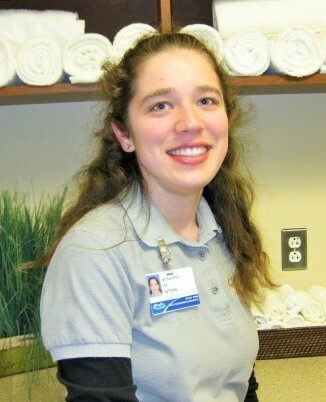 The student employees provide a visible, welcoming culture for all hospital customers, and often build long-lasting work relationships with members of their department teams. Cathy Schmidt, special education consultant at Oakland Schools and acting Michigan statewide coordinator for Project SEARCH, manages the educational piece of the program and is the liaison between the multiple agencies that contribute to the project’s success. They have become important, respected, valued members of our community.